Korean dramas provided the basis for two US series this year, with ABC shows Somewhere Between and The Good Doctor both taking their inspiration from a country that is prolific in its output of scripted content. 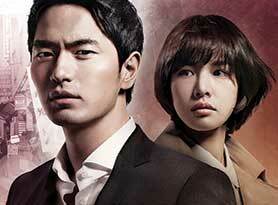 Here, DQ picks out some new Korean series that are also ripe for acquisition and adaptation. A divorced couple reignite their feelings for each other when they become interns at the same hospital years later. Produced by Dragon Studio for tvN and distributed by CJ E&M. Why were you interested in telling this story? Director Chul-gyu Kim: I chose the story because it added a pleasant romantic comedy element to a medical drama genre that could turn out to be a heavy and serious story. The story seemed like one that could give audiences balanced enjoyment. 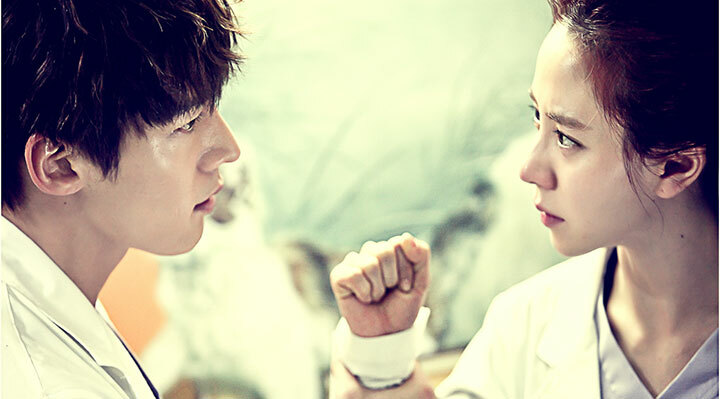 How was Emergency Couple developed for the network? At the time, tvN was oriented mostly towards young and active people. The network was embarking on a strategy to broaden its demographic, and our story fitted in well with that strategy in that it can appeal to all audiences. The show switches between two timelines – how did you tackle that? For the scenes in the past when the couple were together, we focused on their emotions. For the present, social environments, roles and positions were added on top of their emotions and they were harmoniously depicted. We carried out thorough research and tried our best to reflect reality in the hospital. We collected as much medical information as possible and also gathered diverse ideas from people who work in the industry. Why were Song Ji-Hyo and Choi Jin-Hyuk picked to star in the show? Both are talents who can express earnestness and brightness, which are important to starring in a melodrama. A thriller in which a prosecutor who is unable to feel emotion begins to uncover corruption within his office. Produced by Dragon Studio for tvN and distributed by CJ E&M. 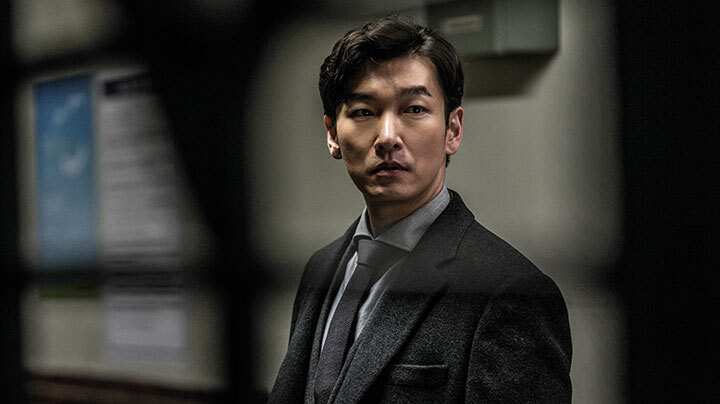 Why did you want the lead character, Shi-Mok (Cho Seung-woo), to lack emotion? Producer Jae-hyun So: Being unable to feel any sort of emotion is a big flaw and is abnormal. We wanted to contrast this with the other ‘normal’ characters in the story. Doctors who save lives, prosecutors who convict criminals – they need to have an underlying love for humanity. However, we set up a character without emotions because we wanted to portray someone who would pursue the truth and not be swayed by personal greed, not to mention justice or love for humanity. Tell us about the show’s visual style. In the development stage, our camera, art and casting teams came together and decided to make the show look cold and emotionless. We shot tight angles, getting very close to the actors to better capture their emotions. The actors’ expressions seemed much more real this way. Where was Stranger filmed and what does this bring to the show? We filmed the show in Incheon, South Korea, but the story was inspired by the Seobu District Prosecution Office. All the houses, bathrooms and crime scenes were all filmed on set. We tried our best to make it look real. The prosecution office on the set was built after tours of real-life offices and we referred to videos and documentaries about how the prosecution operates. What were the biggest challenges in development or production? As the whole drama was made before it began airing, there were limitations to receiving viewer feedback. However, we could elevate the perfection in post-production with editing, mixing, CGI and music. How is K-drama evolving and what new stories are you able to tell? Audiences now seem to prefer dramas with a unique concept – storylines that are different from any others, regardless of the genre. 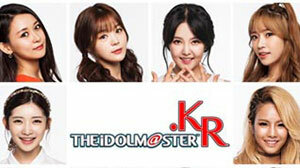 In addition, successful shows reflect Korean sentiment and social atmosphere. A ‘womance’ that depicts the friendship between a group of women out for revenge after they each lose something following a car crash. 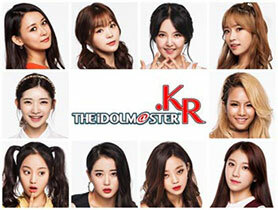 Produced by SBS and FNC Add Culture for SBS and distributed by SBS International. Producer Younghoon Choi: Traditionally, Korean weekend drama series feature the story of an extended family. However, I wanted to introduce some fresh and dramatic devices and settings, with younger main characters and three villains. I emphasised the confrontation between good and evil and abandoned the clichés of a Cinderella story or a success story. I wanted to have characters attack each other and defend themselves in each episode, like a game, and I upgraded the clichés of a birth secret, false romance, betrayal and conspiracy, and utilised them colourfully. How did you create the style of the series? I wanted something between American soap operas and cinematic TV series. 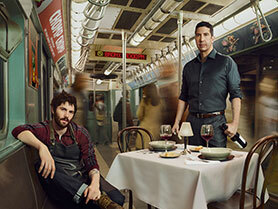 It was difficult to keep it low budget and high quality while producing and directing a 50-episode series. So for the first 10 episodes, I shot at 24fps to maintain the cinematic look and later I shot at 30fps. Also, I used three cameras for every episode to reduce the shooting time and capture various shots. What were the biggest challenges in production? The overwhelming volume – 50 70-minute episodes – was the most burdensome. It was challenging to control the rhythm of the story from the beginning until the end. I tried to make the scene transition quick, but at the same time tried to make the story flow naturally. 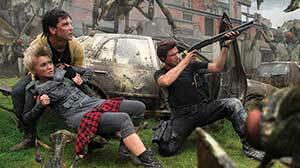 I constantly interacted with the actors while shooting, and held enough rehearsals before shooting so they could act smoothly. I enjoyed experimenting with various genres – this series has elements of comedy, thriller, action, romance and even horror. Why would this series appeal to international viewers? Band of Sisters features a clear confrontation between good and evil. The story development is fast and the situation changes quickly, not allowing the viewers to feel bored. Moreover, romantic scenes and touching family stories are a bonus. A wrongly convicted death row inmate escapes from prison to save the life of his friend’s sister. Produced by SBS and RaemongRaein for SBS and distributed by SBS International. 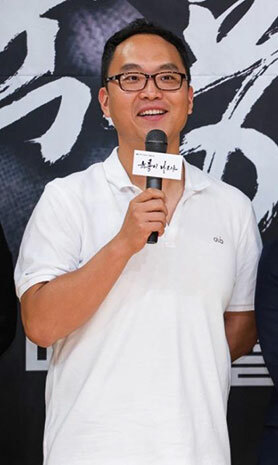 Producer Kyungsoo Shin (pictured): I was interested in stories about people who waste their youth in prison after being falsely accused of a crime. In 2000, a taxi driver was stabbed to death and the first witness, a 15-year-old delivery boy, was accused of murder. He was recently released from prison at the age of 32, after his innocence was proved in a retrial and the real perpetrator emerged. Nothing can compensate the time such people spend in prison. I wanted to make a story where the wrongly charged individual solves the case by himself. 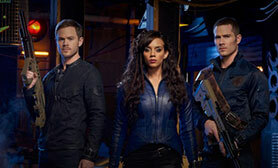 The writing began in 2016 and the casting began this July. Pre-production kicked off in August and shooting is now underway. How would you describe the show’s tone? This is close to a serious drama, but I’m adding some humour at some points so it doesn’t become too serious. 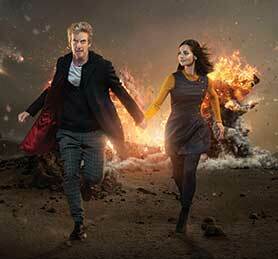 Unexpected, natural comedy or a funny situation will prevent the series from becoming too serious. What makes Questionable Victory stand out from other Korean dramas? I try not to make emotional scenes too deep or too long. Questionable Victory will stand out because it gives a light touch to such scenes. But to find out if this difference becomes a strength, I’ll have to wait until the editing finishes. 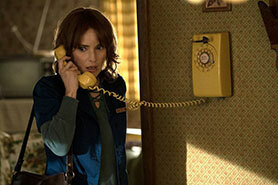 The story is easily approachable even for foreign viewers. A story of a falsely charged man trying to solve his problem by himself, about jailbreak and a detective, is easy to understand. Also, the main character is humble and has his faults, so viewers will feel comfortable with him. An action drama about two brothers and the ill-fated choices they make, due to air in November. Produced by Drama House and Kim Jong Hak Productions for JTBC and distributed by JTBC Content Hub. What did you find appealing about Untouchable? Producer Cho Jun Hyoung: It’s not just a tale of two brothers, but a complex family story. Initially, it may seem like [main character] Joon’s journey to avenge his wife’s death is the central plot, but his internal struggle is the real arc of the story. As he faces the disgraceful history of his family, his deep hatred for his monstrous father and brother grows. But he is conflicted by the desire to forgive them because they are his family. Audiences today can connect with this complicated and delicately told father-son conflict, magnified through dramatic settings. It is directed by the charismatic Cho Nam Gook and written by Choi Jin Won, known for his dense writing style. It may sound weird to say that this is a story about family when a brother is seeking revenge for his wife’s death and the plot includes a struggle against immense power. But as you get into the story, you will see that it’s something we can relate to, because we all experience life as a family in some way. We are telling a story that can draw the sympathy of not only people living in Korea but around the world. How would you describe the state of Korean drama? The K-drama industry is enjoying an increased number of networks and timeslots. Correspondingly, there is a flood of new shows being produced, and many of the major networks are preparing to open a new slot for drama. The result is a more competitive environment for us. JTBC is home to a diverse genre of stories such as Woman of Dignity, Strong Girl, Man X Man and Hello, My Twenties!. Our main priority is to discover and deliver fresh stories and subject matter.